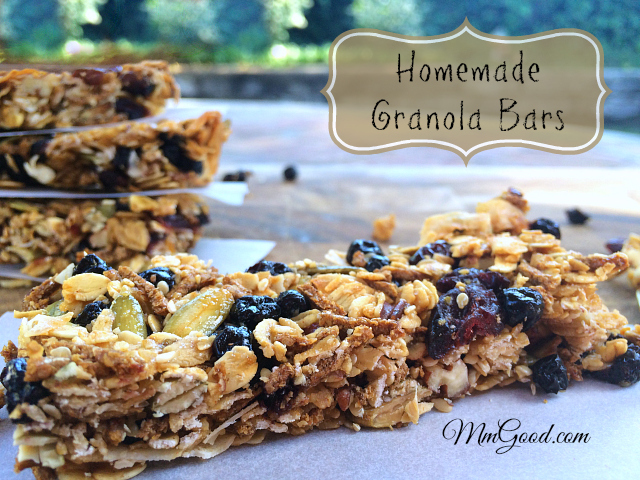 It’s “Scrumptious Saturday” and I have another great granola recipe for you. 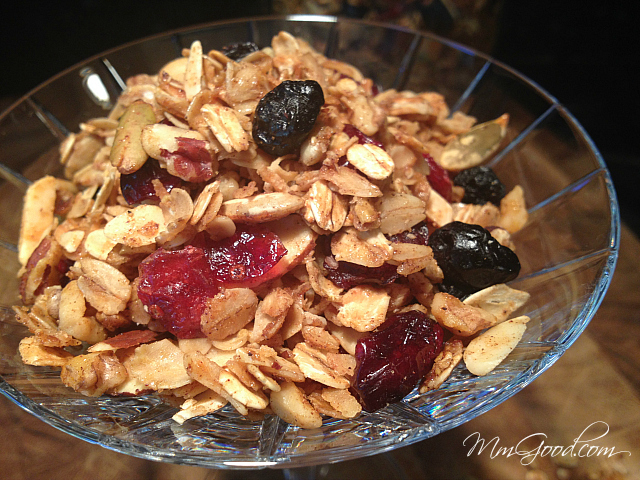 As you already know, I just love granola and I’ve already shared one of my favorite granola recipes with you “Homemade Granola with Dried Fruit“. 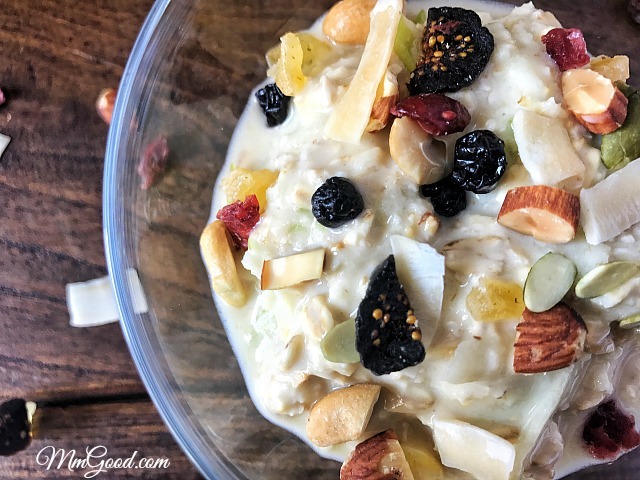 Granola is great as you can eat it on it’s own, use granola for to make your favorite parfait with yogurt, mixed granola with milk or on top of ice cream with your favorite granola…so, how could you go wrong? 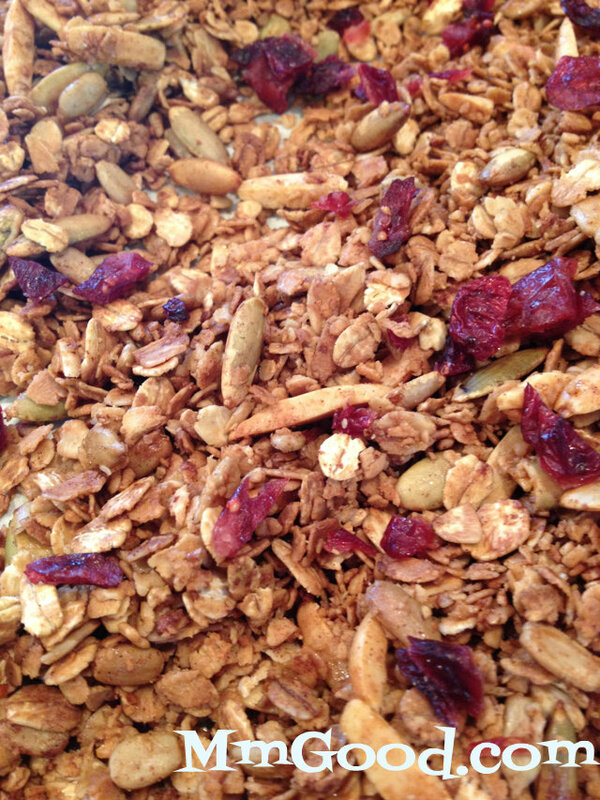 This is one of the first homemade granola recipes I ever made, maybe about 10 years ago and I have been making it ever since. While I say I’ve been making it for 10 years, this is the first time I made it using a cup of instant oatmeal as I ran out of regular oats and still wanted to make it. 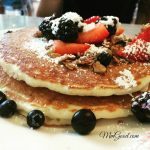 I will share, after my experience today, I would wait for the regular oats as I found that using two differed oats cooked up differently and mine came out a little over done as you can see from my photo so I would not recommend using instant oatmeal, read my article on the difference between oats. 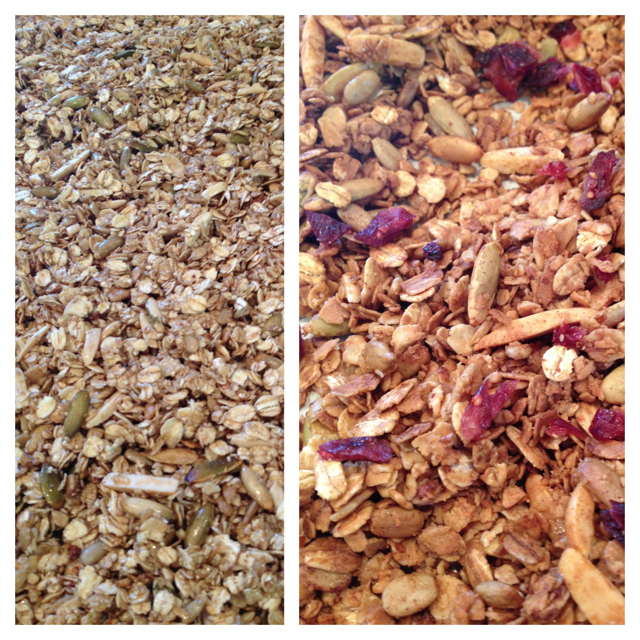 The great thing about making your own homemade granola is that you can modify it to your likings. 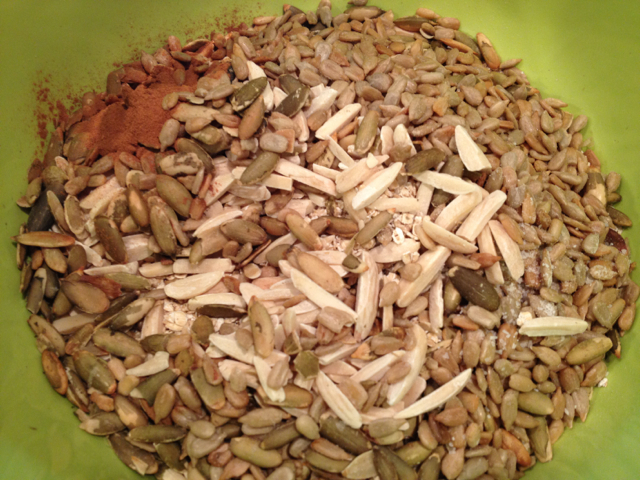 For example, I used a medley of my favorite nuts including almond, sesame and pumpkin seeds. I have also used a medley of peanuts, pistachio and pecans so use your favorite nuts. 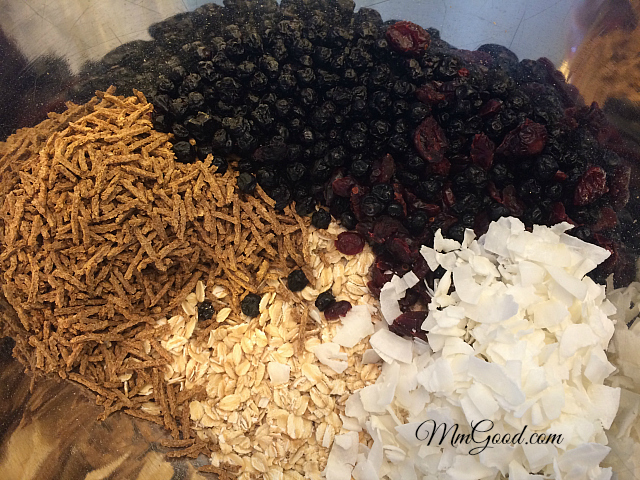 I also topped mine with dried cranberries…I like to have the cranberries there as I like fruit in my granola, if you do not like the dried cranberries, leave them out. 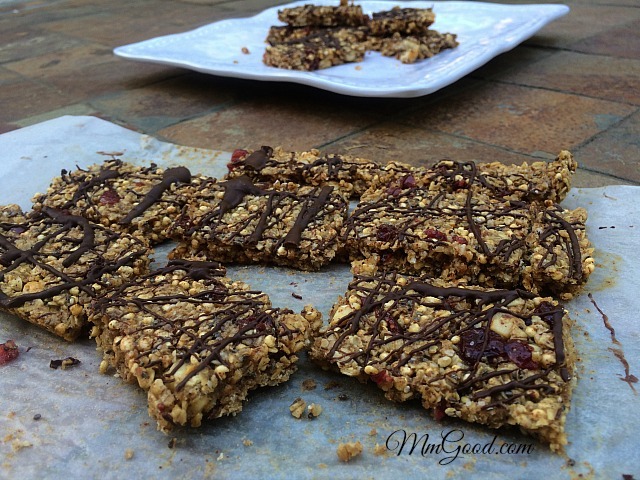 You can also add dried blueberries or any other favorite dried fruit. 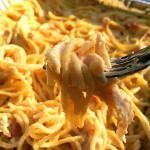 This recipe can be made several days prior to serving. My recipe has different types of nuts and dried cranberries, if you change the types of nut, I would recommend keeping the same quantities. 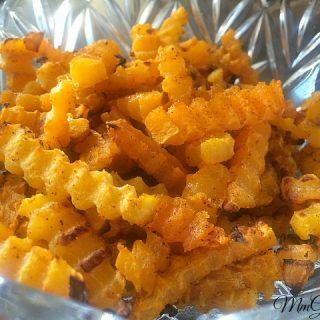 It’s a great little snack that everyone will love! Enjoy!!! In a large bowl, combine your oats, sunflower seeds, pumpkin seeds, nuts, cinnamon, allspice, cloves, nutmeg, ground ginger and salt. Toss lightly. 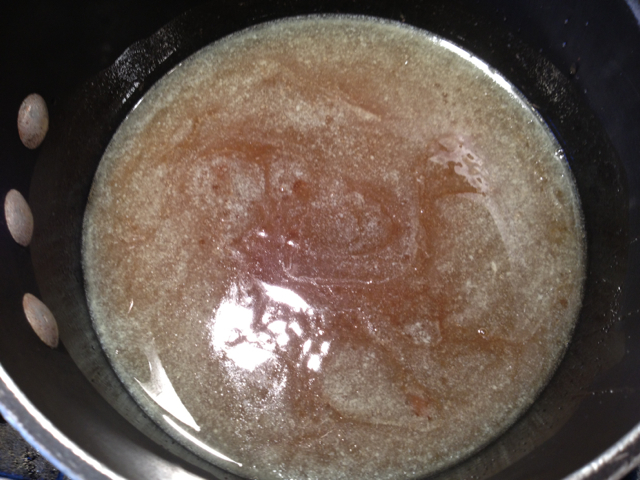 In a 1 1/2 quart saucepan, place your brown sugar, honey and oil, cook over medium heat until all the sugar is dissolved. 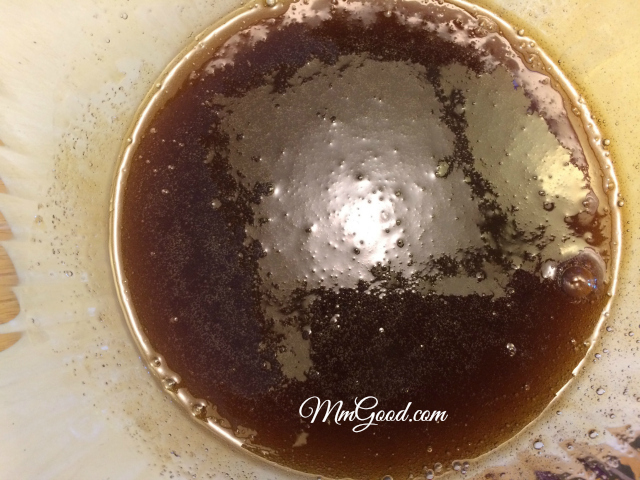 While your brown sugar is hot, add it to your bowl of oats and toss to make sure your oats are coated with the brown sugar mixture. 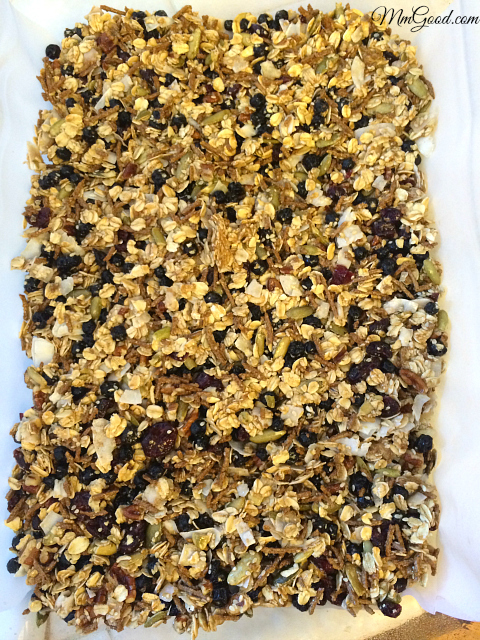 Place your oats on a baking sheet, lined with parchment paper and bake for 10 minutes. 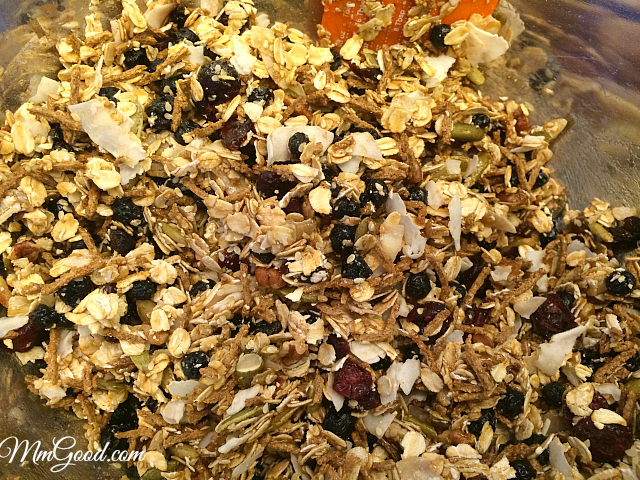 Remove the granola from the oven and toss (do not skip tossing every 10 minutes as this step makes sure your granola is cooking evenly) place your granola back in the oven and bake for an additional 10 minutes, remove, add your coconut and toss again. Place it back in the oven and bake for another 10 minutes. 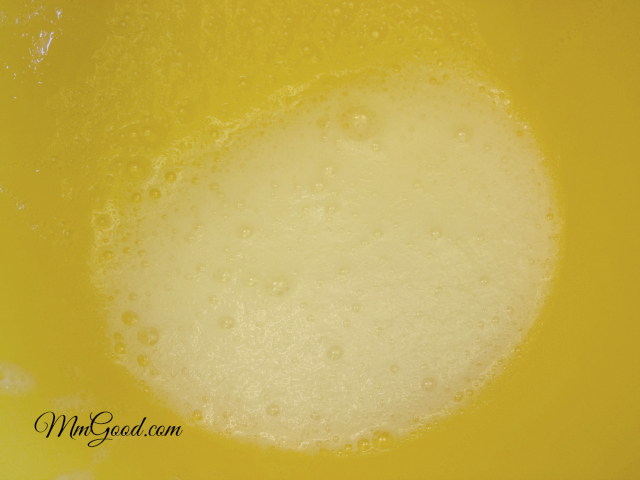 Your granola should be done at this point, you are looking for your oats to have a golden color and is no longer moist. Remove from the oven and place your dried cranberries on top. 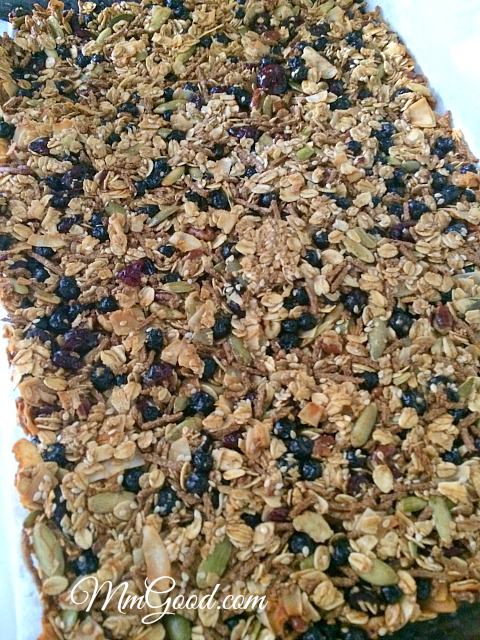 Once the granola has cooled completely, you can place in a container.